How do you plan on driving significant growth for your business in 2015? Yes you’ve created marketing, sales and revenue goals. You’ve also defined your buyer personas and established killer promotion and nurturing strategies, along with an A+ team. But have you figured out how you’ll be driving leads into the funnel, tracking the valuable associated data and managing your pipeline seamlessly? 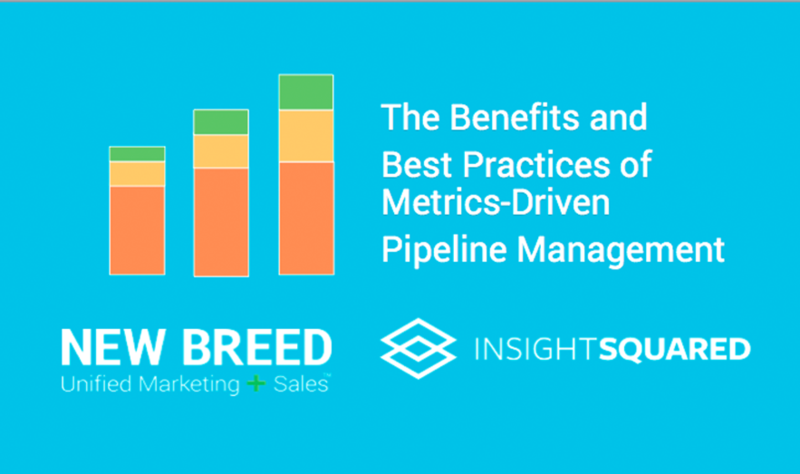 We teamed up with the folks over at InsightSquared, a business-analytics and -intelligence software company, to host a webinar focused on the benefits and best practices of metrics-driven pipeline management for your company. View the slides below. The most successful sales teams have begun to incorporate inbound methodology into their arsenal of selling tactics. They are breaking away from dated systems and technologies, including cold calling and list building. While the shift is just taking hold for sales, the alignment between marketing and sales is stronger than ever. This is forcing sales not only to take on more than just marketing strategies, but also to prove the return behind those strategies. But how do you prove ROI in the sales process? Companies are becoming more and more strategic. In order to reach prospects effectively, they need to set goals. But a goal is nothing without measuring key performance indicators. By established a metrics-driven pipeline, you can get deeper into the details of your process to identify where to invest further next time. With enough practice—and enough attention—you can turn your craft into a science. Want to listen to the recording of the webinar for greater insights into metrics-drive pipeline management? Click here.